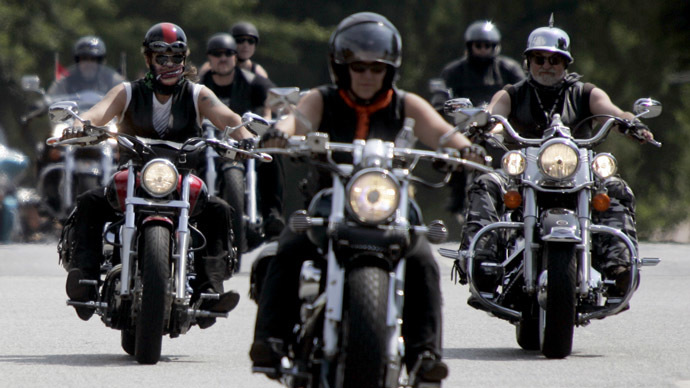 Members of the No Surrender biker gang are fighting against Islamic State militants in northern Iraq. The Dutch public prosecutor said on Tuesday that motorbike gang members who have reportedly joined Kurds battling the Islamic State group in Iraq are not necessarily committing any crime. “You just can’t join a fight against the Netherlands,” he told AFP after reports emerged that Dutch bikers from the No Surrender gang were fighting IS insurgents alongside Kurds in northern Iraq. The head of No Surrender, Klaas Otto, told state broadcaster NOS that three members who travelled to near Mosul in northern Iraq were from Dutch cities Amsterdam, Rotterdam and Breda. Many countries including the Netherlands have been clamping down on their nationals trying to join IS jihadists who have taken over swathes of Iraq and Syria. Measures include confiscating would-be jihadists’ passports before travelling and threatening prosecution should they return. “The big difference with IS is that it’s listed as a terrorist group,” said De Bruin. Dutch citizens could not however join the Kurdistan Workers’ Party (PKK), as it is blacklisted as a terrorist organisation by Ankara and much of the international community, De Bruin said. “But this is also happening a long way away and so it’ll be very difficult to prove,” said De Bruin. Members of a German motorcycle gang have arrived in the besieged Syrian city of Kobane to fight alongside No Surrender against Islamic State militants who have been attacking the city for the past four weeks. Leaders of the Cologne-based Median Empire Motorcycle Club, which has strong Kurdish links, have posted images of their riders posing in the city – some of them carrying weapons. The news comes just after members of a notorious motorcycle gang from the Netherlands were told they had not committed any crime by travelling to Kobane to join the fight against ISIS. Leaders of the Cologne-based Median Empire Motorcycle Club, which has strong Kurdish links, have posted images of their riders posing in the besieged Syrian city of Kobane. They are there fighting ISIS terrorists. The gang’s official Facebook page says the riders have travelled to the Middle East to distribute aid, and several images show them handing out food to Yazidis in what looks like a refugee camp. A photograph on a Dutch-Kurdish Twitter account shows a tattooed Dutchman from No Surrender called Ron in military garb, holding a Kalashnikov assault rifle while sat with a Kurdish comrade. Last week a Dutch prosecutor told the members that they will not be prosecuted for going to fight abroad, because such actions are only illegal if you are fighting troops from the Netherlands. “I’m here for the people, nobody else,” Mickey said as he puffed on a cigar during an interview in Doquq, a town south of Kirkuk. One of many volunteers in the Middle East battling the Islamic State, Mickey — whose real first name is Michael but whose last name was withheld — had traveled to the Kurdish autonomous region of northern Iraq last year. Mickey’s had an eclectic history. After a long life of crime, he joined the French Foreign Legion, where he learned French and received extensive military training, according to the website. Later, he got involved with a “one-percenter” motorcycle club in Colorado. various allegations against his past. Even though reports of US volunteers fighting alongside Kurdish forces have increased recently, few have actually seen time in combat. Most of the Americans volunteering to fight against ISIS merely serve a symbolic role against the terror organization, kept well away from the front lines. But Mickey is a completely different story, according to the website. “We call him ‘Sak bab,’” said Mickey’s deputy commander, General Tariq. The phrase translates to “son of dog” and is usually used as an insult — but in this case, it’s been given to Mickey as an honor. Mickey has apparently become so feared in Iraq that the Islamic State is offering a reward to anyone who kills him. But this doesn’t scare Mickey one bit, according to the website. Just three weeks ago, during a Kurdish offensive south of Kirkuk, the tatted-up soldier found himself in the fight of his life, according to the article, which even seems more like a movie script. Shortly after making his escape, Mickey returned to the scene of the battle. When night fell, he and several dozen Peshmerga retrieved the body of their dead comrade.